Meet the Horses at Alderlore. Learn how to share space, become sensitive, aware and ease into the long now. Discover a magical connection with your inner spirit horse, by allowing one special horse to choose to be with you in a close and intimate setting. This workshop includes an introduction to Carthusian Horse Meditation® and the foundations of Natural Horse Language. We offer several half-day workshops as intermediate level experiences for practitioners who are interested in building personal capacity as well as horse owners who are interested in reconnecting with their horse on a deeper level. Our horses are specially gifted and experienced guides. The intermediate program includes three workshops designed to create greater inner clarity and sensitivity: body language, emotional balance and energy awareness. These workshops are designed for up to 4 people. They start at 10 am and end at 2 pm. and you can book two or more sessions over successive days. Overnight accommodations in the studio are available. Click on the image for more information. Our advanced workshops are designed for people who are interested in deeper practices of engagement with the horse and discovery of your life purpose, cultivation of spiritual wisdom, and full embodiment of your authentic self. I would like to invite all who are interested in the natural world, in the ways of animals and especially the spirit of the horse, to participate in an exciting adventure of learning and discovery with our Horses at Alderlore. Our wonderful equine teachers are particularly suited for engaging humans at deeper, more spiritual levels, and helping us be more present, more grounded, and more connected with our world and with others in our daily life. The horse rides between the worlds and meets us where nature and spirit interpenetrate and where we both can share our gifts. 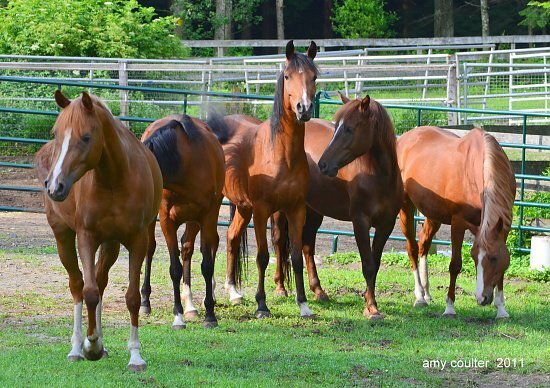 Bonnitta Roy has designed equine-facilitated programs for individuals and groups for over a decade. Her workshops are powerful, profound, and deeply meaningful explorations into the nature of the horse-human relationship. 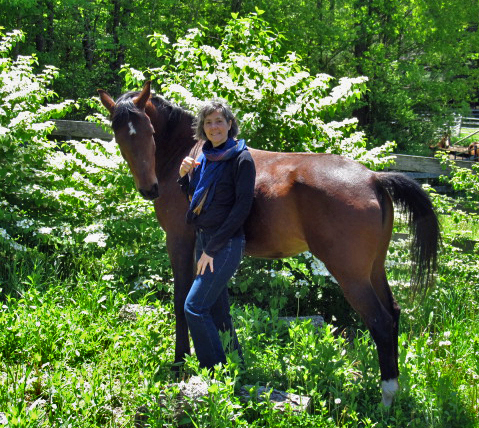 Her workshops combine her long time practices in the ancient arts of energy awareness and cultivation (qigong) with over 30 years of experience raising, training and partnering with horses. In addition to a tai-chi form designed specifically for horse enthusiasts, called Windhorse Qigong, Bonnitta has developed important new techniques in natural horsemanship training and equine assisted learning, including Classic Carthusian Horse Meditation, Liberty Dancing, as well as a unique approach to therapeutic intervention for “lost” or psychotic horses that draws on the deep intra-species connections we share with horses. 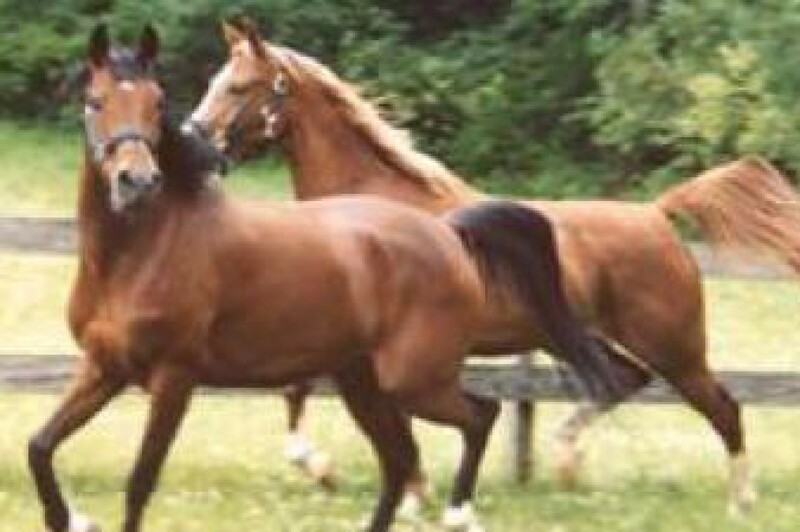 Her horses have been featured at events throughout New England. Bonnitta’s workshops reflect her professional career in personal development and life coaching. 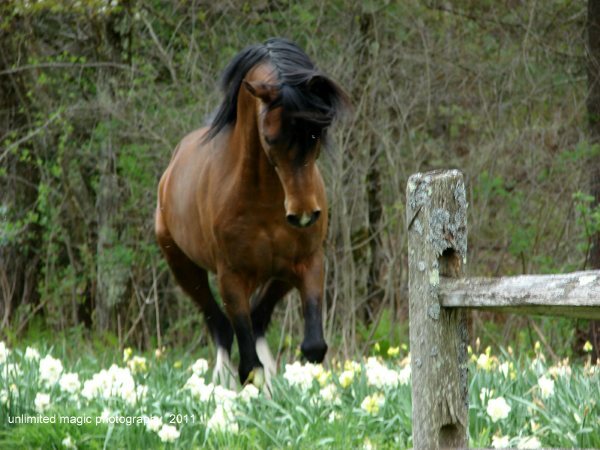 As author and teacher across a wide range of interests, she integrates developmental psychology, eco-philosophy, and consciousness studies, and equine zooanthropology — offering her clients a comprehensive and holistic experience of the true nature of horses, as well as deep insights into the nature of our own authentic self. Click Here to inquire about scheduling a private session or group workshop at your own barn with your own horses. 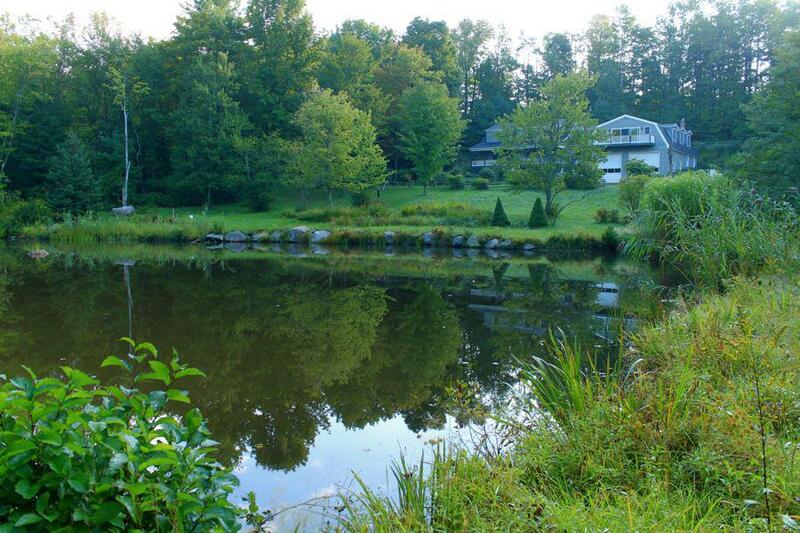 Alderlore Farm is situated in the Berkshire Hills of Northwest Connecticut adjacent to Burr Pond State Park. 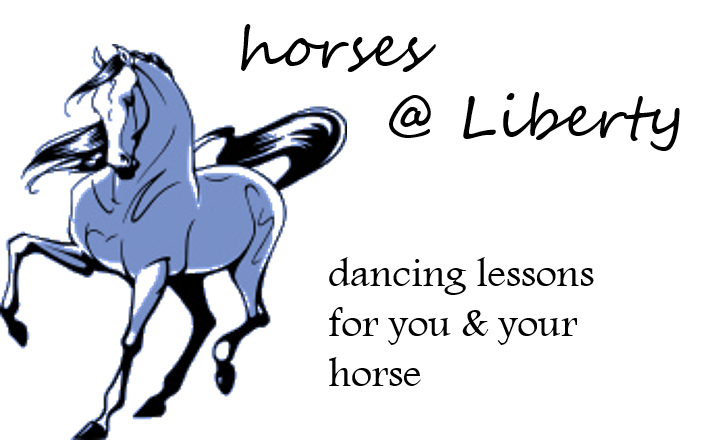 Alderlore operates as a federal recognized 501(c)3 whose mission is to serve the public as an educational organization dedicated to our understanding of horses, nature and ourselves as human beings. Please consider donating to support our work. In 2007 I bought a 7 month old colt, Khemancho, from Belesemo Arabians, whose horses are renowned as sport and endurance champions. I wanted to dance with stallion energy and spirit, and Khemancho seemed the perfect candidate for a good sized endurance stallion. As it turns out, Khemancho is a compact horse, with very stylish gaits. His attitude is much more around relationship and dance then trail riding and endurance. He loves to show off, to perform, and to solve interesting puzzles. In other words, he was born to be a dressage horse! But I don’t so much like the discipline of dressage. … So together, Khemancho and I started inventing Liberty Dancing routines that were based on the fundamental body language of horses in their natural herd condition. Khemancho also invents some clever routines on his own — he loves throwing something improvisational into our dance programs. 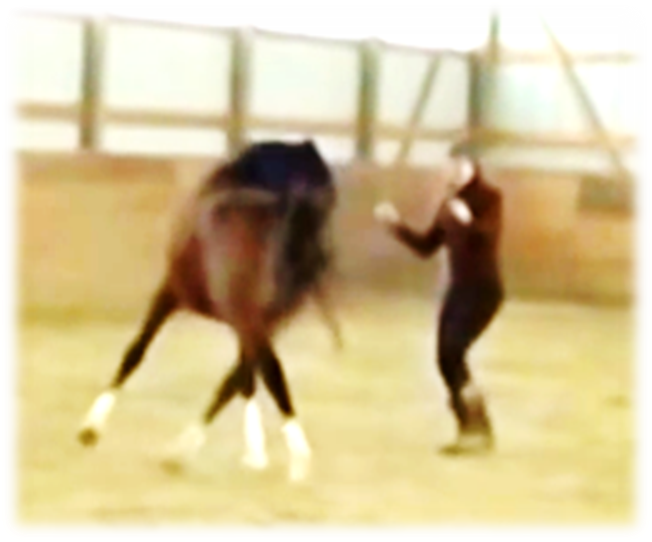 After almost ten years of teaching others to dance with my horses, I now know that anyone can partner with their horse to dance. Liberty Dancing creates a happy, healthy, horse, because it draws on the natural enthusiasm of the hoses. Liberty Dancing also builds a strong connection, a reliable relational bond, with your horse as well. 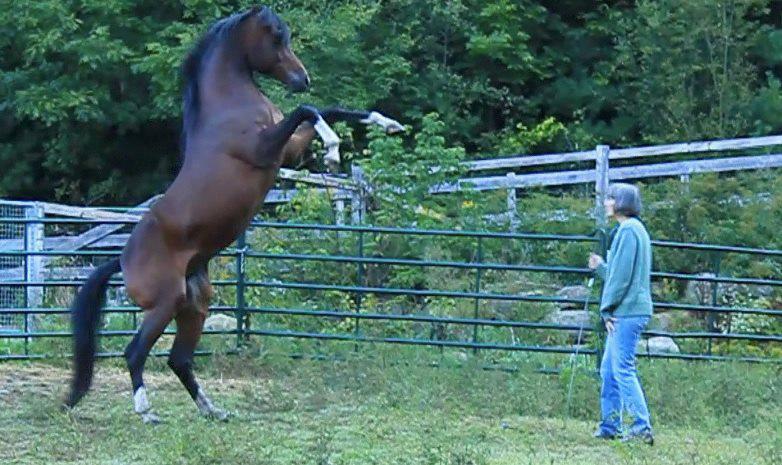 Liberty Dancing teaches us the natural body language of the horse, and helps us develop our core energy. 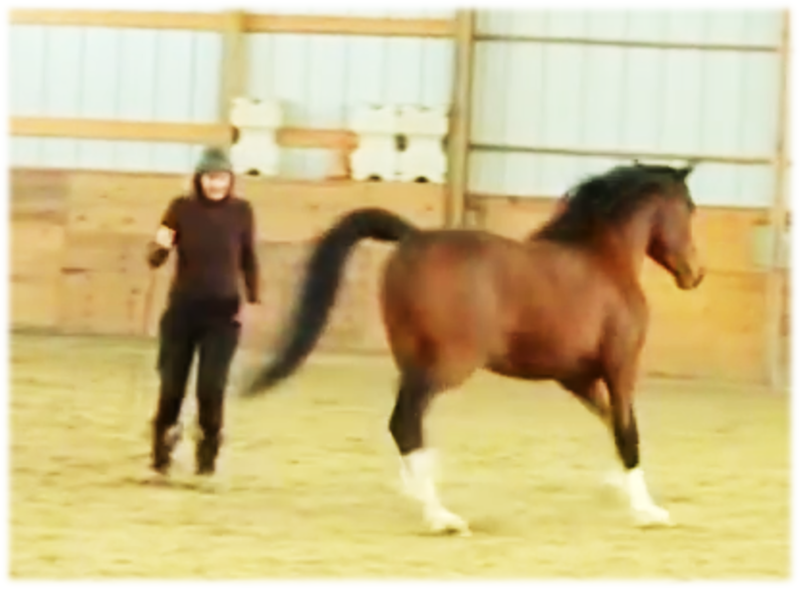 Liberty Dancing builds concentration, focus and problem solving skills on the part of both horse and human. Therefore I consider Liberty Dancing the most integrated way to engage your horse. Come join the fun and experience the joy!